Send a long-lasting impression to someone special with this Bountiful Expressions bouquet. Green poms, hot pink gerbera daisies, pink roses, orange roses, and sunflowers are hand-arranged in clear cylinder vase by a local florist. 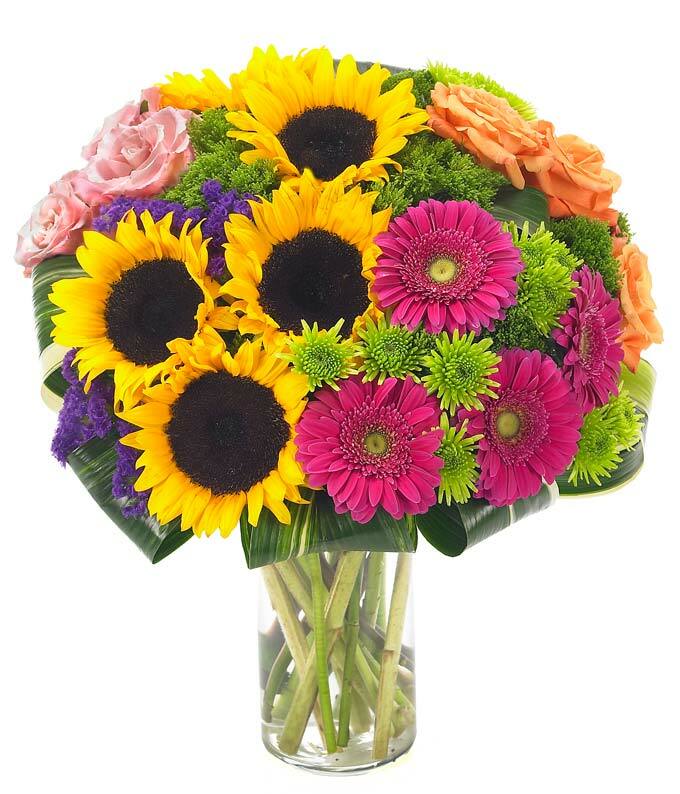 This colorful floral bouquet is sure to bring a smile on your recipient's face.